Southern Somalia is a hell for civilians living there, and that was true even before the famine that hit the country this summer. When I was in Mogadishu a few months ago, I saw bombed out buildings in every direction, families huddled in ill-equipped hospitals, and — in one case — a group of kids startled by an Al-Shabaab mortar blast not 100 feet from where they were standing. This is the reality of war, but it doesn’t have to be. CIVIC and its partners have worked with the African Union toward better civilian protection. And today, we released a report on civilian harm in Somalia that details pragmatic solutions for responding to civilian losses. The author of the report, Nikolaus Grubeck, spent time in Mogadishu, its outskirts, and the displaced persons camps near the Kenyan border interviewing civilians impacted by the conflict. We hope these insights from Somali civilians and our analysis of what can be done for them will help convince the parties to the conflict to be better and do more for the people caught between them. It’s been a couple of weeks since we’ve blogged, but we’ve been kept very busy here at CIVIC. This week is a big one—today we released a joint report with Refugees International on civilian protection and amends in Libya and on Thursday we’ll be releasing a report on civilian harm in Somalia supported by UNHCR. So expect more updates here on civilians in conflict soon, including a blog from Sarah on Thursday. Until then, follow us on twitter @civicworldwide and facebook. “No one even helps you bring in the dead; you collect the bodies at your own risk,” a woman called ‘L’ explained to me at the Dadaab refugee camp in Kenya. 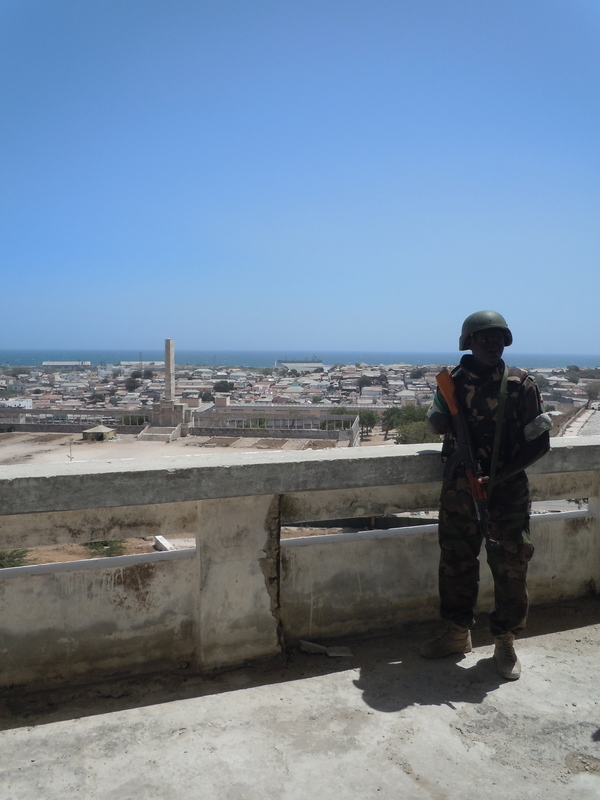 Fighting in the Somali capital of Mogadishu has raged on and off for nearly two decades, but never has it been quite so brutal or dangerous for civilians as it has in the past few years. The current phase of the conflict began in 2007, when the ICRC proclaimed it the worst fighting in Somalia in 15 years. Since then, the situation has spiraled downwards, with displacement, malnourishment and civilian deaths all on the rise. Another cause of the uptick in suffering is the arrival of the African Union Peacekeeping Mission in Somalia (AMISOM). By most accounts, AMISOM wishes no harm on civilians and only opens fire in response to attacks on the government or its own personnel. “AMISOM doesn’t attack you if you don’t attack them – they support the government,” explains L. Nevertheless, when AMISOM is attacked, it fires its artillery and mortars into the civilian areas from which al Shabaab fire, causing extensive civilian casualties in the process. Those attacks coupled with AMISOM’s denial that any civilians are being harmed is simply unacceptable, no matter how pure its intentions or vicious its enemies. As a result, AMISOM is rapidly losing the trust of the Somali civilian population and the support of the international community. AMISOM needs some tough love from its supporters. Its strongest backers, including the UN, US and EU, need to hold AMISOM accountable for causing civilian casualties, but also give it the tools it needs – like advanced guidance systems, more spotters and intelligence gathering assistance – to help minimize such civilian harm. AMISOM needs also to urgently acknowledge civilian losses and consider ways to compensate victims for their losses or find some other way to recognize and dignify their suffering. “They should help and we should be able to make claims,” L added. AMISOM must publically acknowledge when it harms innocent people. It’s the very least we should expect from a force working to bring stability to Somalia.